Cheap TVs: Best budget TV deals under £500 | What Hi-Fi? Cheap TV deals can be a double-edged sword. Many of the supermarket TVs you'll see for hard-to-resist, bargain prices, will end-up costing you more... when you realise you should have shelled out for something a little better. But there are genuine deals to be found in the budget TV market, not least with Black Friday, Cyber Monday and the Christmas sales approaching. Who? What? How much? Polaroid may be better known for cameras, but the brand has been punting decent cheap TVs for some time, too. This 32in TV offers iPlayer and Netflix, HDMI and USB connections, a Freeview HD tuner and a decent picture. Neither the design nor the sound quality are much to write home about but for £200, we find it hard to argue. Apart from its shortage of subtlety and a few gripes with sound (it’s a bit on the shrill side), this Philips has a lot going for it - not least price. The winner of our Best 32in TV accolade in the 2014 Awards, this Sony TV impressed us across the board with a great picture, solid sound and an excellent set of features. Another Sony TV, another Award-winner. And you can save a few quid on this one, too. The best 40in TV of 2014, this is a real bargain. A Sony clean sweep? Say it ain't so. Another 605 Series, which while it didn't receive the full five stars when we tested it, can now be found for just under £500. We'll be keeping this page updated, so check back if you're after a bargain TV. Want to spend a little more? 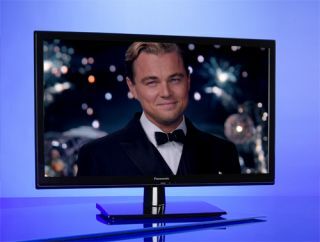 Then take a look at our best UK TV deals page, for more expensive sets and a wider range of screen sizes.